If you’re a business owner, you feel the weight of every dollar your business expends. That’s why for some, the cost of an automated time and attendance system is viewed as a nicety, but not a must. However, taking a ‘DIY’ approach to time and attendance actually ends up driving up business costs, not saving money. Depending on employee-reported hours leaves room for inflated costs, and “eyeballing” the comings and goings of your staff is hardly an accurate system. 1. 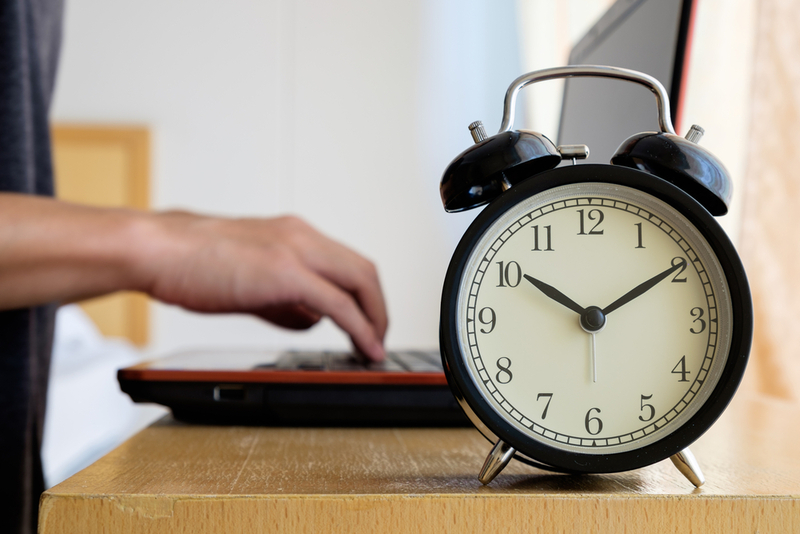 Employees can clock in from anywhere: Never again let your employees slide on clocking in. A versatile time and attendance system leaves no room for impossible situations. FingerCheck covers employees by way of internet, mobile app, biometric time clock, text message, and twitter punching. Employers can purchase one stationary time clock for daily use, off-site employees can clock in using the mobile app, and we also offer convenient clocking in and out online. 2. Digital timesheets: Using an automated time tracking system provides you with digital timesheets that require no manual entry and are already formatted for payroll processing. Using FingerCheck, supervisors can review timesheets online or from their smartphone. The system can also be configured to require supervisors and employees to review and sign off on timesheets before processing payroll. Best of all, the time data can easily be shared and exported through an API integration, which means no more printing, faxing or phoning timesheets. 3. Reduced office costs: Consider how much money your company spends on office costs like printers, toners, paper, folders, ink cartridges, and more. By using an automated time tracking system, not only will you experience cost savings on the reduced usage of these supplies, you will also free up usable space in your office thanks to cloud-based storage. No more paper timesheets to file and all time data is archived online. Retrieval is easy, and goes as far back as you’ve been using the software. In the last 20 years, the usage of paper products has increased from 92 million tons to 208 million, which is a growth of 126%. Americans still consume more paper per capita – upwards of 500 lbs. annually – than anyone else on earth. On average, a person in the United States uses more than 700 pounds of paper every year. The average office worker continues to use a staggering 10,000 sheets of copy paper every year. 45% of the paper printed in offices ends up trashed by the end of the day – this daily lifespan occurs for over a trillion sheets of paper per year, worldwide. Eliminating unnecessary paper use is a step in the right direction to operating an environmentally friendly business. 5. Reporting capabilities: Depending on the level of sophistication, an automated time tracking system can deliver customized reports directly to your email box each week. FingerCheck provides a number of report templates that are already set up for easy reviewing, and also has a custom report builder for more complex needs. Reports allow you to review a wide scope of data within a short period of time. 6. Convenience: Some automated time tracking systems are more convenient than others. Software programs that require physical installation limit your access to the device(s) the software was installed on.Web-based software applications like FingerCheck give you immediate access to your data wherever there’s internet. When you’re not by a computer, you can log into our mobile-friendly software on your iPhone or Android device. Whether you’re on line at the grocery story, battling a cold at home, or traveling for work, you don’t have to be apart from your time data. 7. Secure clocking: If your employees are self-reporting their own hours or using paper time cards, you have less control over buddy punching. Automated time tracking systems offer security measures that eliminate buddy punching. FingerCheck’s cutting edge biometric time clocks distinguish employees by their fingerprint or facial features. Employers decide which clock-in methods to accept, and can even control what device employees use to clock in. Mobile punches are tracked with GPS tracking, and employees can even be required to take a selfie when clocking in through the mobile app. 8. 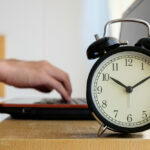 Innovative technology: You’d be surprised how advanced automated time tracking systems has become. FingerCheck specifically provides a number of high-tech features, including mobile photo capture, two-factor authentication, fingerprint sign-in through the mobile app, and job fencing and geo fencing. 9. Reduced search time: As we touched upon earlier, automated time tracking systems operate differently than traditional time and attendance systems. Since data is collected digitally, all your time data is safely secured and stored in the cloud, freeing up space in your office. Gone are the days of hunting for data through filing cabinets and folders. With FingerCheck, data can be reviewed by all approved personnel simply by logging into the software. 10. Punch Alerts: If you like to stay up-to-date about the attendance patterns of your employees, you can set up FingerCheck punch alerts to trigger when employees punch late, early, don’t punch at all, etc. These notifications can be sent to as a text, an email, and a push notification. If you prefer a more subtle alert, you can set up “exceptions” which flag punches on your administrator dashboard. When you sign up for an automated time tracking software, you’re getting the convenience, customization, and accuracy of an enterprise-wide solution that can save you time, energy, and money. If you’re interested in signing up with FingerCheck to time track your employees, sign up or call us at 1-800-610-9501.